Just received a 23andMe saliva collection kit? You may be wondering what the service provides and how to get started. 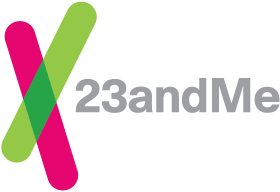 To learn more about the 23andMe® services, click here. Creating an account and registering your kit to that account links your sample with your profile, and allows your results to be provided securely online. If you are participating with family members, you will each need to register your own kit - although you can share a single account. We encourage you to review these important considerations before registering multiple family members to a single account. Adding reports to the Ancestry Service. Once your kit is registered, review the directions included in your kit before providing your sample. Following sample collection instructions will help ensure the quality and viability of your DNA. The saliva collection kit includes a buffer solution to stabilize the DNA and prevents bacterial contamination. Buffered samples are stable at a wide range of temperatures (-4ºF to 122ºF) for up to 6 months - but we recommend that you ship your collected sample to the laboratory at your earliest convenience. Domestic return shipping is prepaid at the time that a kit is purchased. Once you have registered your kit and provided your sample, drop the package off at any US Postal Service Mail Box (if shipping from within the United States). The box is already pre-addressed. Returning your sample to the lab. Once your sample is in the mail, you can track its status from within your 23andMe account. You will also receive email notifications for key sample status updates, including when a kit is received at the lab and when your results are available in your online account. See the status of your sample. At any point during the process you can learn more about the information provided in Reports and Tools.